Osceola Consulting CEO Kevin Narcomey with Rise Up Radio. 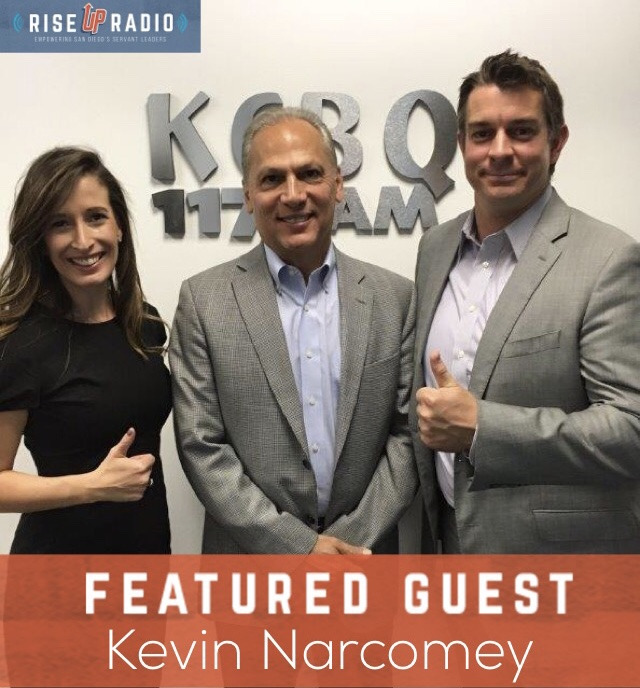 November 13, 2017 - Osceola founder and CEO Kevin Narcomey was interviewed on Rise Up Radio by James Carmody, host and creator. Rise Up Radio, a San Diego-based radio program (KCBQ AM 1170), features interviews and positive news stories of local servant leaders that are rising up to make a difference in the local community. In the interview Narcomey discussed Osceola Consulting, the services they provide to utility companies and how the company is impacting the local Native American and other disadvantaged communities. Narcomey also told Carmody about his own Native American Roots as an enrolled member of the Seminole Nation of Oklahoma, growing up on the reservation as the youngest of three sons of a single mother. He spoke about his great grandmother walking the Trail of Tears during the Tribe’s forced relocation from Florida to Oklahoma and his commitment to give back when he was fortunate enough to receive a Native American scholarship to attend college. Pictured center is Kevin Narcomey - Osceola, with Jennifer Krewalk (L) and James Carmody (R) - Rise Up Radio.